Every era brings new trends in interior design and some of them are easily recognized as "retro" or "outdated". But, if we choose colors carefully, we may enjoy a modern retro space. Colorful appliances have this retro feel to them, which is why they have a tendency to slowly but surely faded into the outdated pile. However, that's as far from the truth as it can be. They are back and better than ever, and in fact if you love colors they never really went out of the trend. This trend is back due to homeowners wanting a more colorful addition to their home and adding colorful appliances and fixtures does just that. So, if you like 1960s or 1970s or just bright colors, colorful appliances are the way to go. Neutral colors are always "in" because they go easily with any other color, but bright hues could be making a bold comeback. In fact, bright colors are expected to be seen all around the home in areas that need that modern touch in a sensible manner. Of course, you go with a bit less "sensible" manner and let your soul sing in color, especially red. Don't worry, it won't be too much if you dress almost everything in your living room in red: left just the floor and the ceiling in a neutral color and you'll be fine. On the opposite side of red is green, at least if you want a colorful living room but red is too much for you after the long working day. It's so easy to say that green is too much retro but those who say that don't think about nature where everything around you is green - and it calms you down. 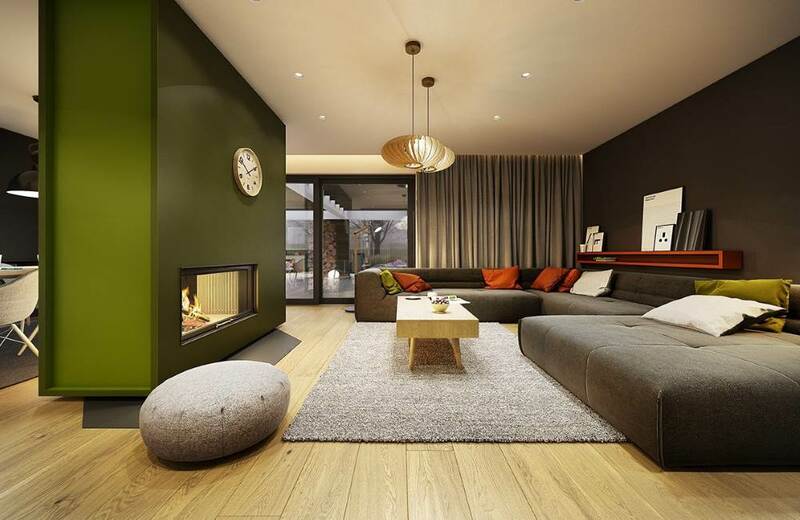 So, greens are making a comeback because of their natural feel and they can easily show the homeowner’s personality while still being less dramatic then some other vivid and bright colors.